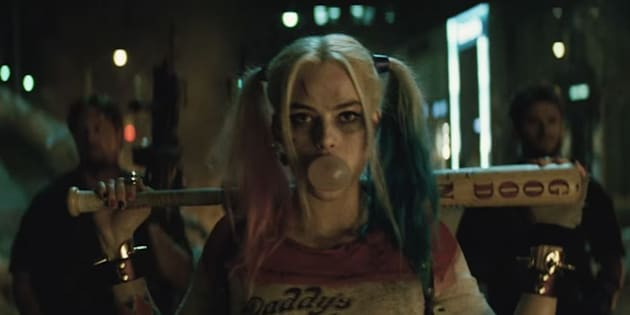 We can all agree that Margot Robbie as Harley Quinn was just about the only thing that worked in “Suicide Squad,” right? Amid the hordes of blob people, deafening music cues and a Joker we’ll never forgive Jared Leto for, Robbie shined, perfecting Quinn’s manic laugh, tough-as-nails personality and seriously skewed sense of right and wrong. DC also apparently took notice, because Robbie is set to re-team with “Suicide Squad” director David Ayer for an all-female DC villains movie titled “Gotham City Sirens,” according to The Hollywood Reporter. Ayer will direct and produce the film, while Robbie will star and executive produce. Geneva Robertson-Dworet, who penned the screenplays for the upcoming “Tomb Raider” movie and “Sherlock Holmes 3,” is set to write the script. Robbie previously expressed interest in continuing Quinn’s story in some form, giving her fans hope that a spinoff was on the horizon.